A compendium of patience games including Solitaire, Spider, Yukon, Freecell, Forty Thieves and Pyramid. 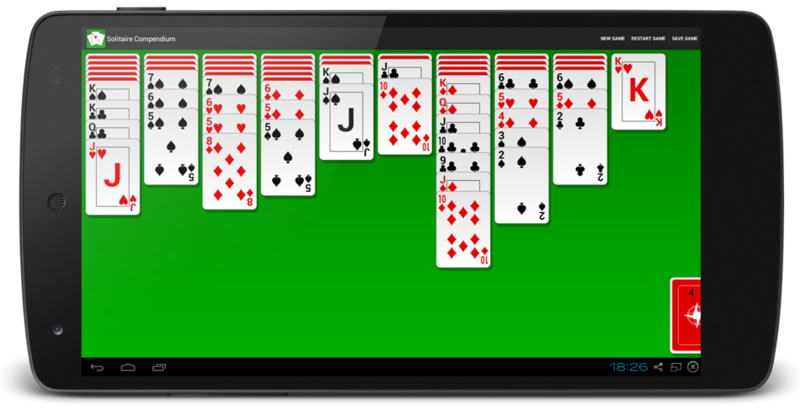 Features an intuitive touch interface - simply drag the cards around the screen to play. Cards are rendered using vector graphics, meaning that they look clean and crisp from the smallest phone to the largest tablet.